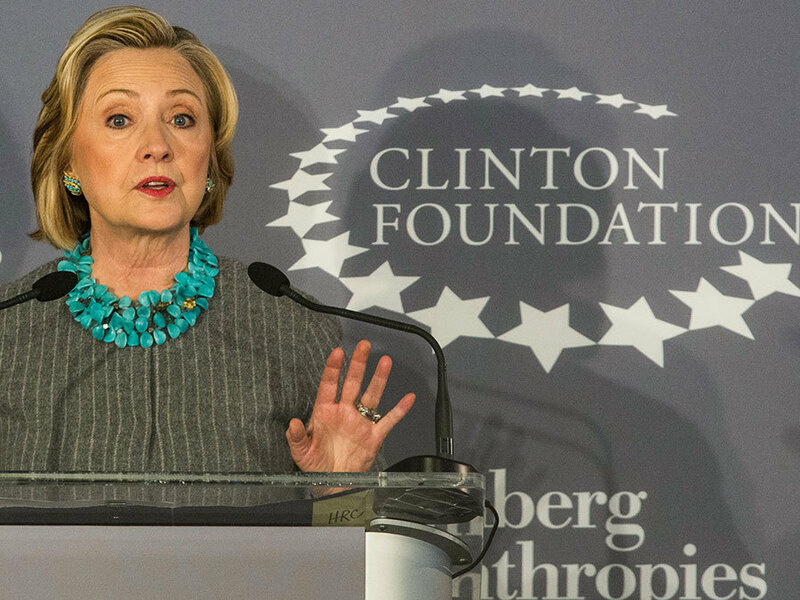 A Scripps Washington Bureau review of tax returns and regulatory filings found that year after year the Clinton charities have ignored New York law and related instructions. 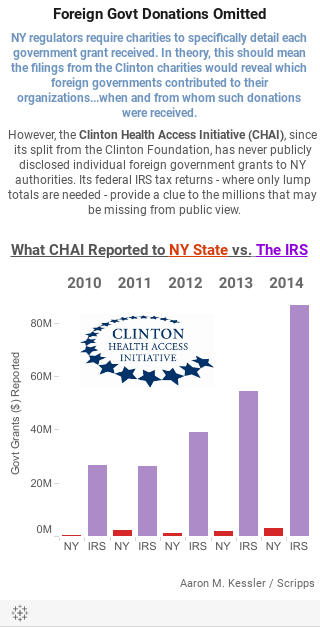 However, the office of Attorney General Schneiderman, a Democrat whom Hillary Clinton named to her campaign's “leadership council” in New York, did not respond to Scripps’ questions about the Clinton Health Access Initiative (CHAI), which has never publicly disclosed in New York filings the identity of its foreign government contributors or the amounts they give each year. Scripps also discovered CHAI did not report hundreds of millions of dollars in foreign government donations to the state. In 2009, Secretary Clinton’s first year heading the State Department, the Clinton Foundation disclosed to New York only a lump sum of $122 million in foreign government donations, listing the amount on a required form that directs all charities to “list each government contribution (grant) separately.” The foundation continued to provide the lump sum disclosures for foreign governments in every year that followed. The Internal Revenue Service has long required charities to disclose on their federal tax returns the total amount of contributions they receive from all governments, foreign and domestic. The federal form does not require a charity to publicly identify its government contributors. However, any charity that wishes to operate or raise funds in New York must also, according to a state law , meet more rigid transparency requirements and publicly disclose “the name of each agency” and “the amount of each contribution” received from any government agency, every year. A partial review by Scripps of charities registered in New York found inconsistent compliance with the instructions. The New York Attorney General’s office published a set of detailed instructions for all charities to follow. It directs them to make sure the total amount of government contributions disclosed to the state is equal to what the charities report to the IRS. From 2010-2014, for every year it has filed disclosures with the state, the Clinton Health Access Initiative has ignored this direction. By 2010, Hillary Clinton was entering her second year as secretary of state and the Clinton Health Access Initiative had just split off from the Clinton Foundation as part of an agreement with the Obama administration. The separation was intended to help bring "greater transparency" to the Clinton charities during her tenure at the State Department, according to a memorandum of understanding with President Obama's transition team. That year, CHAI reported only $242,099 in “Total Government Contributions” to New York regulators, and that number included only domestic grants. But for the same time period in 2010 it told the IRS it received $26,740,319 in foreign and domestic government grants. Every disclosure CHAI has ever made since separating from the Clinton Foundation has come during Schneiderman’s tenure as attorney general. CHAI spokesperson Regan Lachapelle told Scripps that if Schneiderman’s office wants more information, it can ask for it. The charity says it provided “aggregate” amounts of all government grants to New York that are found on its federal tax returns. “The officials in New York have never questioned our way of doing this,” Lachapelle said. John Wonderlich, who heads the Washington, D.C.-based Sunlight Foundation, a government watchdog that has a special focus on the flow of political money, says the disclosure rules for all charities in New York are clear and the Clinton charity should follow them. "It appears as though the Clinton Health Access Initiative is attempting to disclose less than the law requires, and to deflect blame onto the attorney general's office as though financial disclosure requirements are individually negotiated on a by-request basis," he said. Between 2010 and 2014, with no one stepping in, records show a $225 million discrepancy between what CHAI told New York it received in government grants and what it told the IRS. The impact means, experts say, details on the foreign government donations remain out of public view for anybody who might wish to know which governments gave what, and when. The charity did tell New York it received $8.2 million in domestic government grants over the same timeframe, signaling the vast majority of its government money comes from overseas. 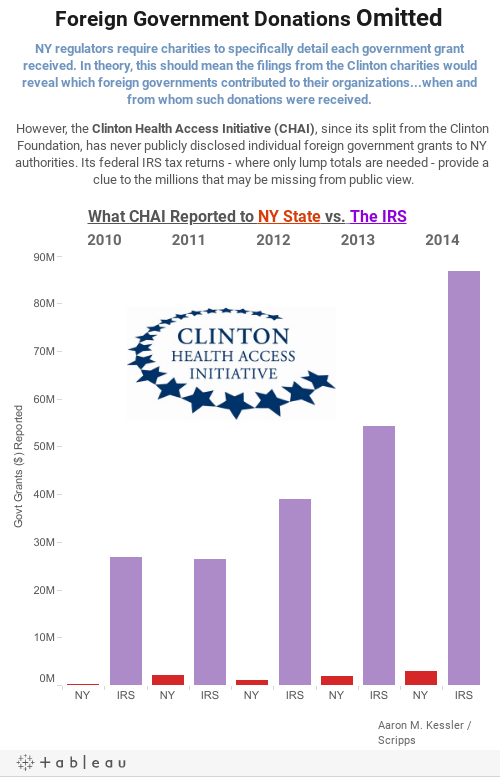 While public scrutiny of foreign donations flowing to Clinton charities has largely focused on the Clinton Foundation, tax records show the amount of foreign government money flowing to CHAI was more than six times the amount given to the foundation from 2010-2014, the years after the organizations split. The Clinton Foundation recently pledged it would stop accepting foreign government donations if Hillary Clinton becomes president. CHAI, as a separate entity, has made no such commitment. “CHAI’s Board will soon determine its next steps,” Lachappelle said in an email. Chelsea Clinton is a member of CHAI’s board and her father, President Bill Clinton, is the chairman of the board. Ira Magaziner, the CEO of CHAI and vice chairman of the board, is a longtime Clinton devotee who served as senior adviser for policy development for President Clinton. Before Hillary Clinton became secretary of state and in advance of when CHAI split off, the Clinton Foundation disclosed to New York a lump sum amount in foreign government donations of $97 million for 2008 and $122 million for 2009 , according to state filings. But records show the charity stopped disclosing even lump sum amounts during her second year at the State Department. “Every instance where there was an opportunity to be more transparent or less they chose to be less transparent,” Nelson, the tax expert, said. From 2010-2013, the foundation originally did not disclose to New York any foreign government grants. For three of those four years, it checked a box on regulatory forms signed by the foundation’s chief financial officer claiming it had no government grants. But this past January as Secretary Clinton was campaigning in the presidential primaries, the foundation filed revised disclosures in New York indicating it had in fact received $17.8 million in previously undisclosed foreign government grants from 2010-2013, along with several smaller domestic government donations. In the revisions, the foundation itemized domestic government grants but continued to provide only lump sums for foreign government money. “It looks like they are being dragged kicking and screaming into any disclosure at all about their foreign (government) donors, and ultimately still failing to live up to the letter of the law,” said the Sunlight Foundation’s Wonderlich. No doubt, the Harvard law grad has made national waves since settling into his job, teaming up with California Attorney General Kamala Harris to push for tougher penalties for big banks following their illegal foreclosure practices and more recently taking on daily fantasy sports companies such as DraftKings and FanDuel that some have compared to gambling operations. The Clinton Foundation says it has turned in a list of major donors, which remains confidential, to Schneiderman's office. But when it comes to the foundation's failure to publicly disclose all government grants every year, Wonderlich and Nelson look to Schneiderman to enforce the law evenly. The attorney general’s office did not respond to questions about Schneiderman’s role on the Clinton campaign’s leadership council or whether his office was operating in an unbiased manner. Last year, Schneiderman gave the Clinton campaign $2,700 , the maximum personal contribution allowed under federal law. In June, Scripps asked the attorney general’s office about the New York laws that require charities to itemize all government grants – domestic and foreign. The office responded on the same day the press secretary for Schneiderman was quoted as defending the Clinton Foundation’s filings in an article written by Politifact . The press secretary noted in the article that other charities, such as the Carter Center, also have filed disclosures by only providing a lump sum amount for foreign government donations. The attorney general’s office said the article “serves as any comment” for the attorney general, but added, the office was now working on clarifying the rules. “We intend to provide guidance clarifying our disclosure rules in the months ahead,” the office said in a statement. Wonderlich, of The Sunlight Foundation, says he is alarmed at the move to “clarify” the rules, which he believes could not be more clear. He says the problem is instead with lax enforcement, adding that changing the disclosure requirements now could rob the public of a valuable window into the operations of all charities, not just those operated by the Clintons. 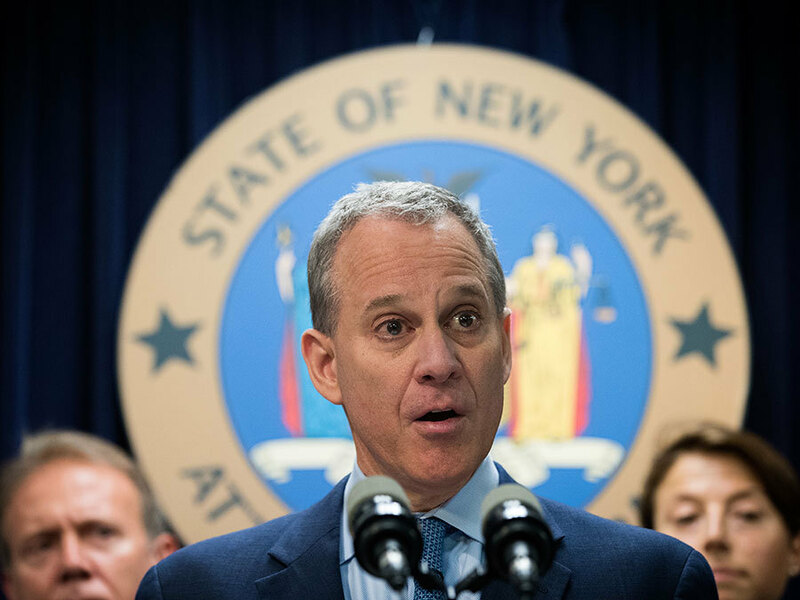 “Even if there have been other organizations that failed to disclose their foreign donors, that’s not an excuse for the Clinton Foundation to not disclose their foreign donors, and it’s not an excuse for Schneiderman’s office to fail to enforce the law,” Wonderlich said. A Scripps check of filings from separate charities reveals others complied with New York’s instructions and itemized their foreign government grants. Action Against Hunger disclosed a wide range of donations in 2010 including $8 million from the UK Department of International Development, and other donations from entities including the Canadian Government, Royal Norwegian Embassy, and the French Government. The Catholic Medical Mission Board told New York it received $140,038 in 2011 from Kenya. In 2013, The George W. Bush Foundation revealed it received just under $5 million from the Royal Family of Saudi Arabia and another $500,000 from the embassy of the state of Kuwait. Brian Cookstra, director of media relations for the Clinton Foundation, did not directly address questions about the appropriateness of lump sum reporting, but he referred Scripps instead to the same Politifact article that quoted the attorney general’s press secretary. Josh Schwerin, a spokesperson for the Clinton campaign, declined to answer questions and also referred Scripps to the article and the Carter Center’s practice of lumping foreign donations together for New York. Neither the Clinton campaign nor the foundation responded to follow up questions about the state’s regulations or the attorney general’s published instructions to all charities, but the Carter Center did. Phil Wise, vice president of operations and development for the Carter Center, explained that the center focuses on its charitable work, while contracting out to a private company all the regulatory paperwork various states require. “We give them the detailed list of every government grant. They decide how best to disclose it,” said Wise, who added that going forward, the Carter Center will always file itemized disclosures with New York for government grants. Within two hours of hearing from Scripps, Wise sent a detailed list of every domestic and foreign government grant the Carter Center received for fiscal year 2014. “Basically, we are pretty transparent,” he said. Both the Clinton Foundation and the Clinton Health Access Initiative do voluntarily provide on their web sites general disclosures about all donors, including governments. For instance, CHAI notes that Ireland and New Zealand gave somewhere between $5 million and $10 million at some time since CHAI began filing separately from the Clinton Foundation in 2010. It received $25 million or more from Norway, Australia and the United Kingdom. The Clinton Foundation on its website offers similar broad ranges of donations over the “lifetime” of the foundation that give no window into when or how often the money rolled in, and in what amounts. 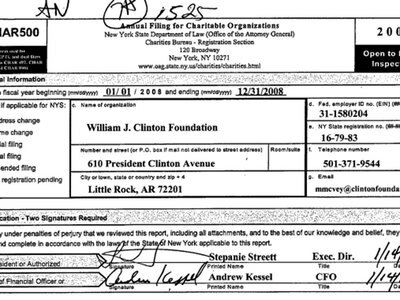 The Clinton charities do not reveal on their websites if donations from governments came all at once, in multiple contributions over time, during Clinton’s time as secretary of state or after. They also do not provide a window into how much money might have rolled in during specific years the governments could have had business before the secretary of state. This story is the result of a three-month Scripps News investigation led by Mark Greenblatt , senior national investigative correspondent. Angela M. Hill, national investigative producer, contributed to the report, and Aaron Kessler, national computer-assisted reporting producer, and Maren Machles, national staff intern, produced the interactives. You can follow Greenblatt on Twitter at @greenblattmark .